Google this week released previews of a set of new plug-ins for integrated development environments (IDEs) that will generate cloud-native code for deployment into Kubernetes-based clusters. The Cloud Code plug-ins, demonstrated at this week’s Google Cloud Next conference in San Francisco, are available for any IDE that supports IntelliJ and for Microsoft’s Visual Studio Code. Developers who typically use IDEs on local client devices may lack the experience of building cloud-native code, a consideration Cloud Code addresses, according to Google. 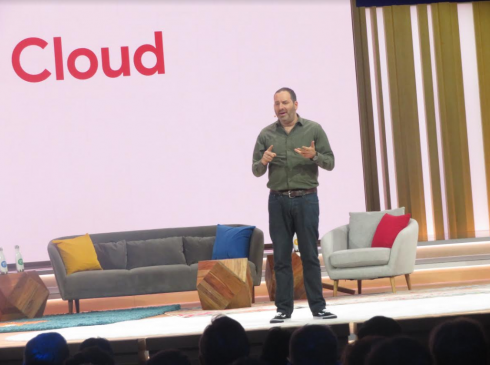 “Cloud Code lets the developer use an IDE of choice and make all the automation to go from code to containers deployed, super, super easy,” said Adam Seligman, Google’s VP of developer relations. Cloud Code also addresses the nuance of working with an IDE in a local environment for code running in the cloud, where developers are prone to discovering errors in their code late in the development process. Google said Cloud Code supports its command-line container tools including Skaffold, Jib and Kubectl, which lets developers extend their local edit-compile-debug loops to local or remote Kubernetes environment. Cloud Code also provides continuous feedback during development and comes with support for deployment profiles to define various targets, such as local development, shared development, test or production, allowing for testing and debugging on wither a local workstation or in the cloud. Developers can deploy applications built with the Cloud Code extensions to a Kubernetes cluster including Google Kubernetes Engine (GKE) using DevOps tools such as the company’s Stackdriver or Cloud Build, according to Google. The latter is a tool that Google released last year for integration with Kubernetes clusters, Bhat explained. Using Cloud Build, a developer can run a pull request or commit to automatically build, test and deploy the application. Google this week also launched a custom worker feature that adds a CICD function for the company’s new Anthos hybrid cloud software, also launched at Google Cloud Next. Cloud Code also lets developers integrate Google’s APIs into their applications, according to the company’s blog post announcing the now plugins. For example, the company offers an integrated library manager in IntelliJ that adds an application’s required dependencies. The previews of both Cloud Code tools are now available for download. Jeffrey Schwartz has covered all aspects of IT, from datacenter, networking, storage, cloud and end-user client computing infrastructure, to software development, collaboration and services for nearly three decades. 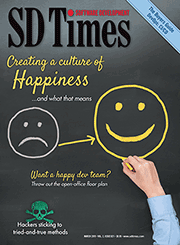 Most recently he was editor-in-chief of Redmond magazine, where he also had roles with sister publications Virtualization Review, Application Development Trends and Visual Studio Magazine, among others.